Reflective Teaching, Inc. and its subsidiary, Blue Moon, began in 1996. The company was created by a teacher, Meg G. (Renslow) DeMakas), who wanted to share her success at teaching literacy. Gary Archdiocese Schools, and the high school students of the 21st Century Scholars at Ivy Tech in Gary, Indiana. Indiana North Central Association Commission on Schools, Indiana Committee in 1999. Great Lakes Social Studies Conference in Chicago entitled, "Bringing the World into Your Classroom". Educational Specialist License in Educational Leadership and FoundationsSuperintendent's License,Indiana State University (2000). In May of 2009, Meg married John DeMakas. Her new name is Dr. Meg Grandfield DeMakas. Her family multiplied from her three grown children, Jessica, Amanda, and Andrew to five, plus two daughter-in-laws, Michael & Courtney (Chase John Demakas, born March 23, 2011), and Mark & Beth. In June of 2009 she switched from public school teaching, but to serve as associate professor first in English Composition at Purdue University Calumet and in the School of Education at Indiana University Northwest (2011-13). She completed Mastering the Art of Timed Writing: The Case of the Backyard Mystery and Mastering the Art of Making Children's Books. Now she is compiling Mastering the Art of Experiential Learning, which includes school-community based units, grantwriting, and multi-media in the classroom. Dr. DeMakas always focuses the reciprical relationship of writing and reading to increase literacy levels in her students. She taught 1st through 8th grade in Indiana, Vermont, and Louisville, Kentucky. She also taught remedial reading and gifted education. Since 2003, Meg has also found another talent in writing and illustrating children's books! Four are now available on this website, but on Amazon.com Barnes and Nobles.com, and Kindle as well. 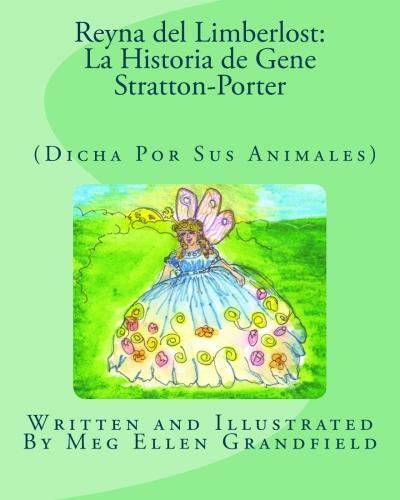 Four of the books are translated in Spanish for our Hispanic learners. What Dr. DeMakas can provide for your organization is a series of seminars in which she will develop writing skills in the schools, the business world, and the community. Teachers will improve their students' writing achievement, when they learn and apply the cutting-edge writing strategies. From people wanting to get down their memories for their families to businesses losing orders due to the writing errors of their staff, all levels of writers can benefit from Dr. DeMakas's writing seminars. Please consult the Product Individual Books, and Services pages in order to learn what is available. 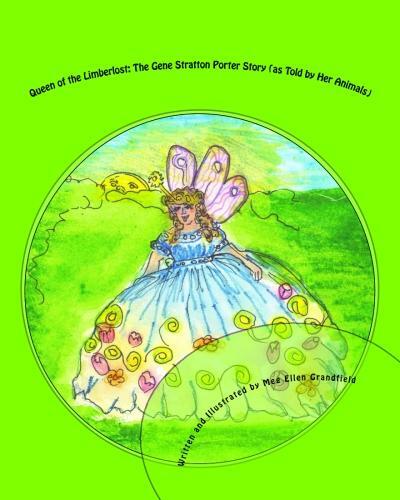 One Woman Show of Gene Stratton Porter as part of a book launch of "Queen of the Limberlost: The Gene Stratton Porter Story (As Told by Her Animals)". There is a Spanish version. 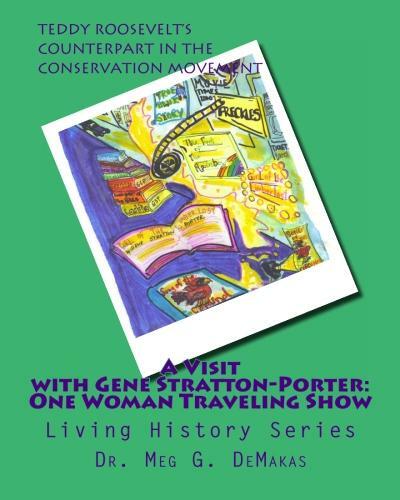 This show script is also available in book form, "The One Woman Traveling Show: The Gene Stratton Porter Story".